Powerful yet easy to relocate, Tungsten Smart-Heat™ Gas Portable heaters lead the way in outdoor infrared heating, allowing you to create warm and inviting spaces in any outdoor, semi-outdoor or patio environment. Heat Output: With coverage of up to 215ft², the Tungsten Smart-Heat™ Portable delivers a widespread heat field of up to 13ft wide and 16.5ft deep. Versatility: Unique and patented adjustable heat control ensures comfortable heat. 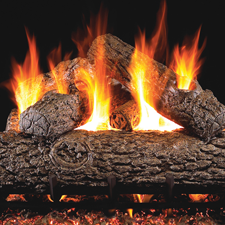 Efficiency: High intensity ceramic burner, delivering optimal heat with minimal heat loss. Wind Resistance: Specifi cally built to provide constant and consistent heat in any environment at wind speeds up to 8mph. 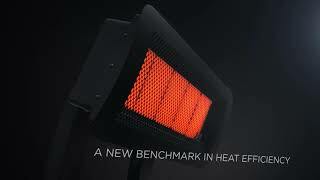 Directional Heat: Innovative adjustable tilting head ensures warmth goes exactly where it is needed. Modular Design: Functional and pragmatic, the Tungsten Smart-Heat™ Portable can easily be assembled, dismantled and stored. Maneuverability: Anti-tilt structure with built-in wheels for easy movement. Soft Touch Ignite: Battery activated repetitive spark ignition.